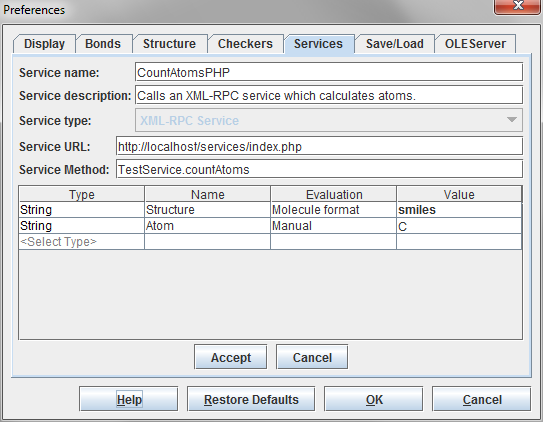 XML-RPC Service uses the standard XML-RPC protocol to access remote calculations. The XML for the request is automatically generated from the provided attributes and arguments, and the response is parsed to unwrap the result of service call. This manual will give you a walk-through on how to use XML-RPC services. 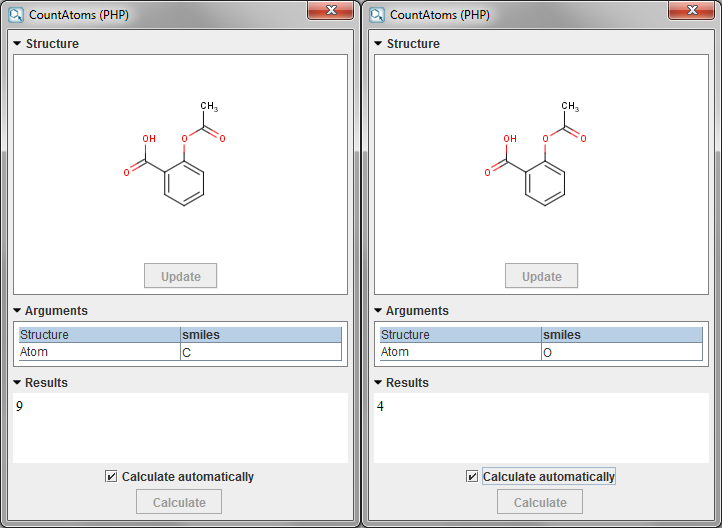 We put here 2 running examples of calculating the number of C and O atoms in a SMILES string.